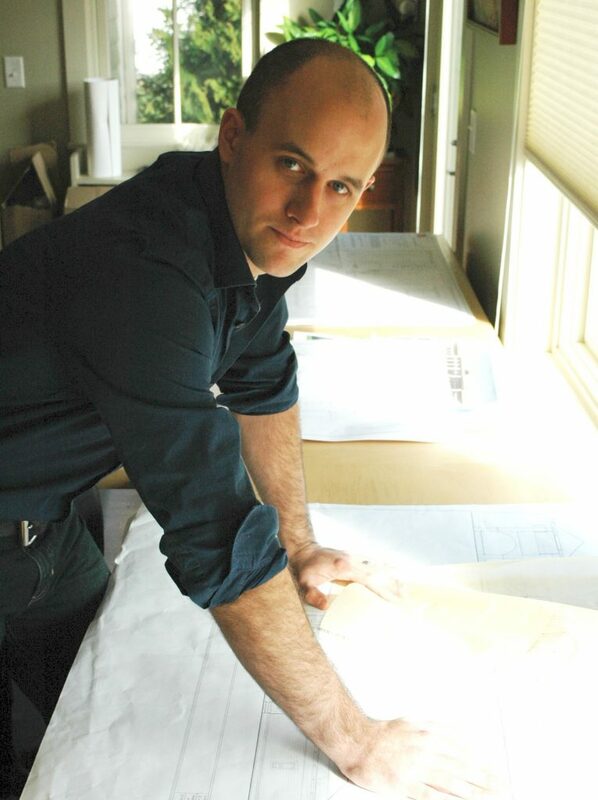 Dane Hitchins joined Aline Architecture in November of 2013. After receiving his Master’s degree in Architecture from Wentworth Institute in Boston, he worked independently for over two years as a residential designer and carpenter before making the move to employment at a licensed firm. He was born and raised on Cape Cod, and from an early age began working in various building trades. He has spent time working for landscapers, electricians, roofers, builders and home remodelers. He has also worked in the building diagnostic and energy rating industry, modeling structures in 3D and extracting data for ratings during several of his college years – learning skills that he will use in Aline’s own energy diagnostic department. While in school, Dane took an interest in drawing a style of architecture that touches the land lightly, conforming to its fluctuations and harmonizing with the moods of the local environment and climate. He has always believed that all building trades and professions should interlock, and that this connection between building sciences, construction, craftsmanship and personal design is not only important, but integral to the creation of architectural space. In his off time, Dane works on slowly remodeling his own home and spends time with his two children, Joshua and Nora.